The Pullbox, recoiler, security tether device, security protection holder, spring reel, cable reel, is used as a wire harness positioner to display shop products. The consistent tension at a variety of forces, and various end fittings help show articles to clients conveniently and are good for theft prevention. The mechanical display pull box has differnt cables and pull forces. 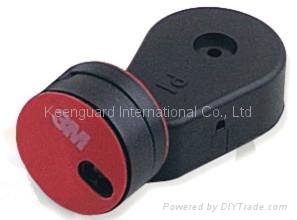 Keenguard International Co., Limited. All rights reserved.